Jaguar I-Pace 294kW EV400 S 90kWh 5dr Auto 2019 Review | What Car? 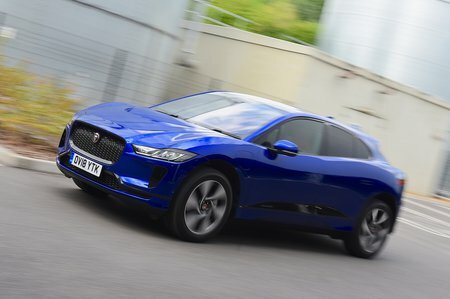 Every I-Pace has two electric motors – one powers the front wheels and the other the rears – producing a combined 395bhp. That’s enough for 0-60mph in 4.5sec, while a 90kWh battery pack gives the car an official range of 298 miles between charges. In our real-world range test, in which we use a mix of roads to give a representative figure, the I-Pace managed a very impressive distance of 253 miles.